Over the past years, there has been a rapid development of the telecommunications market in Latin America. In particular, the mobile sector is in a state of potential growth and, according to experts, it will be expanding in the near future. Latin America has a well-developed GSM termination market, primarily due to the high level of mobile penetration. To start your business in Latin America, you need to not only buy gateways and perform gsm gateway configuration correctly, but also choose the right direction. We have prepared for you a list of the most promising routes, in terms of profitability of VoIP GSM termination. 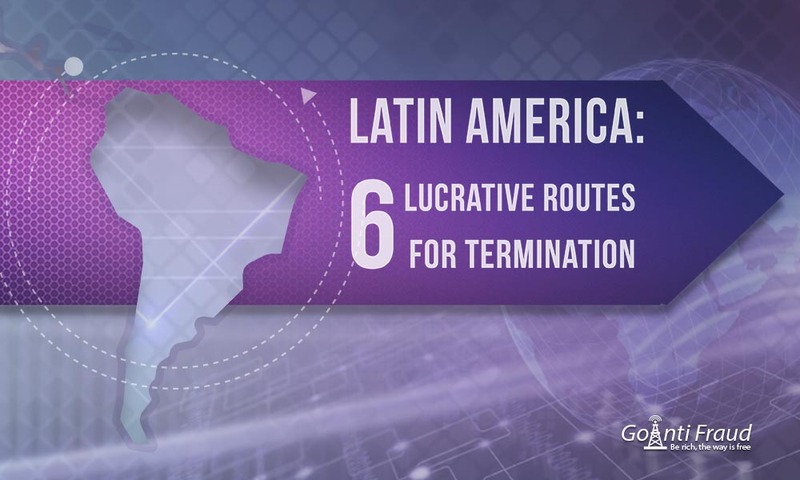 Ecuador ranks first in the ranking of profitable routes for voice termination in Latin America. The average cost of VoIP minutes is $0.09 here. Mobile penetration reaches 100%, with a population of 15 million people. The country accumulates much international traffic, which allows terminator to make good money. More than a million local inhabitants have migrated to other countries, which implies a constant flow of impressive GSM traffic amount to Ecuador. Originator companies offer about 200K international minutes for termination in the country. When terminating for 600 minutes a day, the profit per day will be about $50 via a single channel. This route provides the highest rates - $0.35 per minute. However, the mobile penetration rate is not too high. It is only 17%, as of 2015. This is due to the monopoly that the government holds in the mobile sector. At the same time, the Cuban population is 11.4 million people. Since the country's repressive environment in the sphere of communications, it is difficult to do GSM-termination. The level of mobile penetration reaches 140% and the total number of connections is about 22 million. The average rate is $0.09 per minute. There is a high demand on Guatemala routes among transit operators. Mobile penetration is more than 150%, with a population of over 44 million people. This opens up good prospects to make money terminating calls, while the rate is $0.01 per minute. In Brazil, there is a high level of mobile penetration as it reached 122% in 2016. Due to the large volume of traffic, it is possible to obtain a high return on termination in the country, with an average cost of VoIP minutes being $0.003. Mobile penetration in Mexico is about 90%, but due to the large population, the number of connections to mobile operators is more than 107 million. The average cost of one VoIP minute of conversation is $0.0025. Before you start doing GSM termination in Latin America, you should take care of protecting your SIM-cards from the lock by antifraud systems. We recommend connecting your VoIP equipment to GoAntiFraud. We provide easy-to-use and proven tools to simulate the behavior of a real user, as well as computerize routine work processes and control your gateways remotely. In our Study Centre, you can find the latest information about the traffic termination business, including useful educational materials - case studies, instructions, manual goip, articles, and reviews. Popular seasonal VOIP termination destinations.